The first announcement has to do with something we have been waiting for months: the proceedings of the July 2014 meeting of CAIPAN, organized in France by the CNES/GEIPAN. 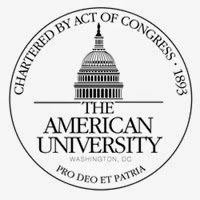 American University recently announced that it will hold a panel discussion called UFOs: Encounters by Generals, Pilots, and Government Officials. It includes ” four prominent national figures,” and is based on the Honors Colloquium, Alien Contact: Science and Science Fiction, by professor and filmmaker John Weiskopf. Along with Halt, the panel will also include investigative journalist and author Leslie Kean. The title of the event is taken from her New York Times best-selling book "UFOs: Generals, Pilots and Government Officials go on Record"
Other panelists include author Thomas Carey, one of the leading experts on the Roswell incident, and Dr. Richard Haines. Haines is the co-founder of the National Aviation Reporting Center on Anomalous Phenomena (NARCAP), and is a former NASA researcher. Haines served as the Chief for Space Human Factors Office at NASA’s Ames Research Center from 1986-88. As you can see, all of the panelists are people who either had their own UFO experience or research the topic. Although skeptical, none of them are skeptics. The discussion appears not to be a debate, but rather, the presentation of compelling evidence for the serious investigation of the UFO phenomena. The choice of the moderator is also very interesting. The tone of a panel is set by the moderator, who can easily sway the focus to be comedic, or incredulous. However, the moderator in this case is beloved and credible, and perhaps one of the more prominent figures to have admitted that he also has seen a UFO. O’Brien shared his UFO experience on CNN after the airing of one of a series of news reports on UFOs he had put together. He introduced the piece mentioning that the believed in UFOs, and after the piece played, one of his co-anchors asked him about his UFO comment. Well, you know, I saw something that was very odd about 20 years ago with my wife. We’re in Maine. It was dusk. We saw what looked like, you know, a planet, you know, bright planet, but then it took a 90-degree turn and took off at about Mach 20. And I’m a pilot. I know speed. It was amazing. I’ve never seen anything like it. Could have been a meteor. Could have been some block program. Could have been something else. The panel at American University will be held on November 12, 2014 from 7:30 – 10 pm. According to a tweet by Kean, it will be free and open to the public. The panel is made up of some of the most respected, credible, and well spoken individuals to ever research the UFO topic, and with a beloved moderator who has also had his own UFO experience, the event is sure to make people who had not thought much of the topic to a closer look. My comment: Opportunely (September 8, 2010) I made a review of the book of Ms.Kean. At the very beginning it seems that you find a very objective book, but as you go on reding you discover that Ms. Kean is totally on the side of the "alien explanation". This opus at the American University is inspired and probably organized by her, using her contacts. Besides the moderator Mr. O'Brien, the only other person that could be called "serious" is Dr.Haines. But it is clear what could be expected Mr.Thomas Carey would say about Roswell and what Colonel Charles Halt would say about the "case" of Rendlesham forest that has been totally and satisfactorily explained. Curiously, the Physicist Prof. Kent Miller of the same American University has not been invited to join the panel, nor Dr.Seth Shostak of SETI or Dr. Neil DeGrasse Tyson, the now famous Astronomer. At least, the presence of any of these three individuals would have assured objectivity to the panel. Regretfully, this won't be the case.